With panoramic views over the surrounding mountains, this first floor holiday property is part of a typical Savoyard chalet, boasting a south and east facing balcony, and a cosily furnished interior. 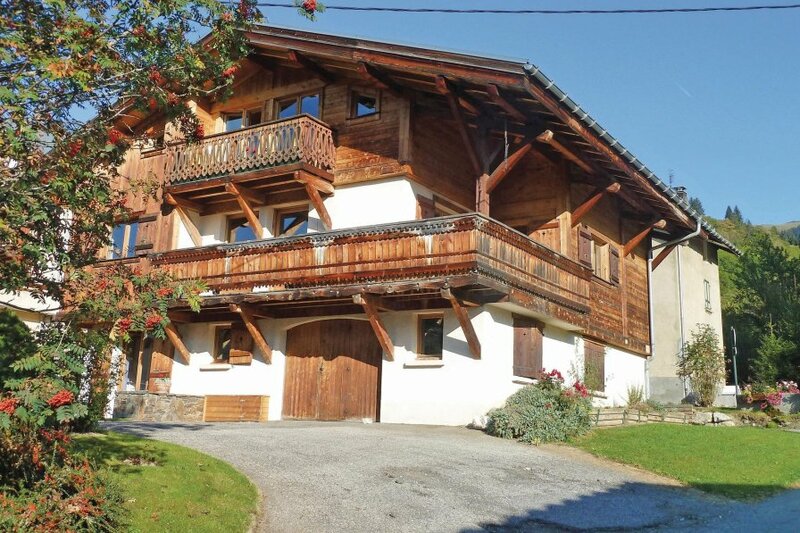 With panoramic views over the surrounding mountains, this first floor holiday property is part of a typical Savoyard chalet, boasting a south and east facing balcony, and a cosily furnished interior. Being in the village you are within walking distance of restaurants, bars and local shops. The apartment is ideally located for access to the famous Mont-Blanc resort, St. Gervais town and Chamonix resort. For walking enthusiasts the magnificent Aravis mountains, in an unspoilt area with astonishing views, are nearby. Day trips could include the splendid recreational lake in Annecy, 37km, ideal for water sports and sampling the local gastronomy in one of the restaurants facing the clear blue waters and impressive mountains. This apartment is made from brick or stone and was originally built in 1985 and refurbished in 2010. The agent has rated it as a three star property so it is a well-kept apartment, equipped with standard furniture. It is also good value for money. This apartment has mountain view and is located in Praz-sur-Arly, only 16km from St. Gervais les Bains. It is set in a good location: there is a restaurant only 100 metres away. The apartment has free wireless internet. You can also park on-site at no extra charge. 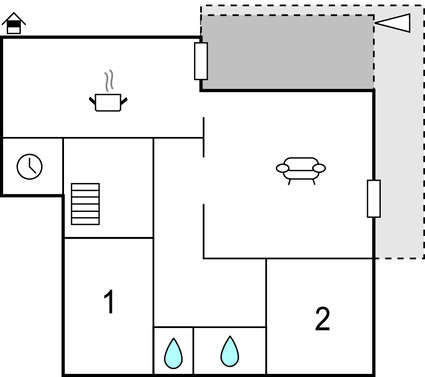 The apartment is well equipped: it has a microwave, washing machine and dishwasher. It also has electric barbecue and some garden furniture outside.